Student "School Planners" are very popular with schools here in the United States (particularly in the middle school grades). These books may be known by a variety of names - planners, agenda books, assignment books, school planning binder, etc. With the best of intentions, schools spend a substantial amount of money on these, and generally pass them out to all students on the first day of each school year. The thinking is that these daily assignment books will help students stay organized in their assignments, making their academic year more successful. Unfortunately, these school "agenda" books can be overwhelming to some students, particularly those whom are so in desperate need of organizational skills. This population includes students with Attention Deficit, students on the Autism spectrum and students with Anxiety disorders. 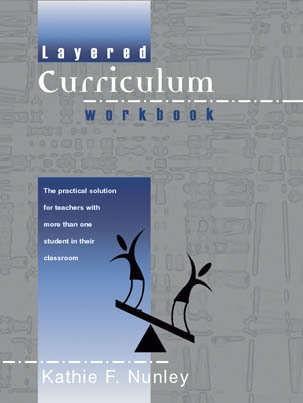 The reason they may present problems to some types of learners is the due to the enormous amount of extraneous information that often comes in these books. There is often a section of school policies at the front, followed by page after page of identical pages indicating the weeks or months of the school year, and frequently end with small to medium size sections of reference. Things such as periodic tables, metric conversion, global maps or math facts can be found in these reference sections. Oftentimes the individual pages may also include extraneous information such as "fun fact of the day" or "on this day in history". If you are a person who is easily distracted by stimuli, these books can be absolutely overwhelming. For many students, digging past all the school policies and references to find a place to write is difficult enough, let alone the fact that they have to find the right date, in the right week, in the right month! So, the truth is that these Day Planners, or Agenda Books tend to be good organizational tools for students who are already somewhat organized. By that, I mean students who are already fairly good at establishing priorities, ignoring distracting and irrelevant information, and are efficient in their tasks. Rather than requiring all students to use a school-wide day planner, offer options for students who may find simpler systems work best for them. Here are several alternatives for students who are overwhelmed by a planning book. One piece of colored notebook paper, picked up each morning with the date on it. Students write assignments on that one piece of paper as they go through the day. They can cross things off as they finish. The paper goes home and stays there. A thin white board, the size of a clipboard with a set of peel-off stickers. As they go through the day, assignments can be written on a sticker. At home, they peel off things as they are completed and bring the whiteboard back to school. Longer term assignments or test date reminders can stay on for as long as needed. Have students type assignments into a note app on the student's cell phone. Post all assignments and due dates on a class website, which students can access from home and no one needs to write anything down. Use sticky notes to write assignments - one per class or subject. These can be attached to textbooks or inside a notebook. A small spiral notebook. No dates, no extraneous information. Student write on the top page and tear it out once completed. Have students enter assignments and important due dates on their Google calendar at school. They can access this from home. Use small � sheets of index cards, which can slip into the back of the student's school ID on his or her lanyard. One card per assignment or reminder. There are many other, very simple alternatives for students to stay organized with assignments and due dates other than school planners. For students with organizational challenges, suggest they try 3 or 4 different alternatives to see which works best for them.